Foodchow team can modify Terms & conditions at any time, in sole discretion. 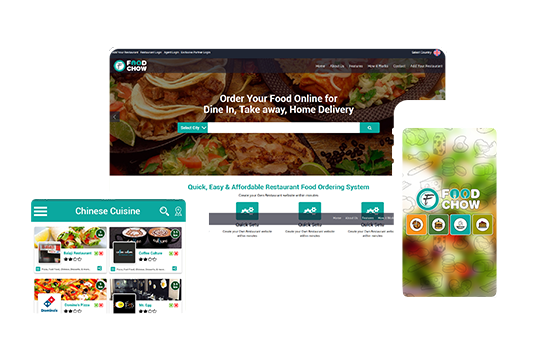 If Foodchow team will be modifying any content, team will let you know either by site or through app. It's a major factor that you do agree to modified Terms & conditions. If you don't agree to be bound by the modified Terms, then you can't use the services any more. Over services are evolving over time we can change or close any services at any time without any notice, at our sole discretion. Do not use Foodchow to promote any illegal activities. Do not distribute content that harms or interferes with the operation of the networks, servers, or other infrastructure of Foodchow. Do not access other user’s account without their permission. Do not disturb other people’s personal information like email Id, passwords, play store or app store credentials without their permission. NOTE: In case of any illegal activities from user, we can block their account permanently. IN case of payment did by mistake or in case of any payment related issues from Google Play Store or App Store, we are not entitled to refund any amount. If it’s very crucial and any genuine problem is seen in our system than we can look into it and resolve the issue or issue refund. IN case of payment did by mistake or in case of any payment related issues for food ordered with Foodchow, we are not entitled to refund any amount. Restaurant Owner will be responsible for issue refund to customer for placed order in any case. FoodChow is not responsible for any kind of order cancelation or approval. Delivery time, Taxes, Delivery Charges and Delivery times are decided by the restaurant owner. Restaurant owners are only responsible for any kind of updates and changes of extra charges. FoodChow is not taking any kind of taxes or extra charges from the customers. In case of misbehaviour, miscommunication or any illegal activities done by customer and restaurant registered here, we will not be responsible for any such activities as we are not taking any proof of their identity. If we notice any illegal activity then we have all rights to permanently Block your account without any notice and reasons.